Sierra Metal & Truck Body Fab, Inc. Welcome to Sierra Metal & Truck Body Fab, Inc. which was established in 2006. Our specialty is in custom fabrication and shearing such as trash bins, chippers bodies, roll-off boxes, dump-truck fabrication and custom welding to thousands of satisfied customers. excellent services in any variety of challenging projects with demanding schedules. Every customer benefits from our personal attention and confidence that their job is being handled professionally. For more information please contact us. 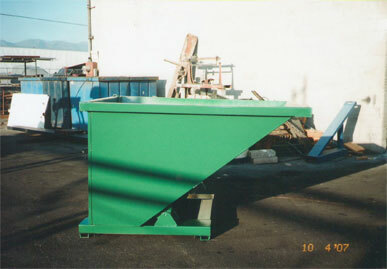 We specialize in custom fabrication and shearing such as trash bins, chippers bodies, roll-off boxes, dump-truck fabrication and custom welding. Our experienced team takes pride in providing excellent, quality service to thousands of satisfied customers.